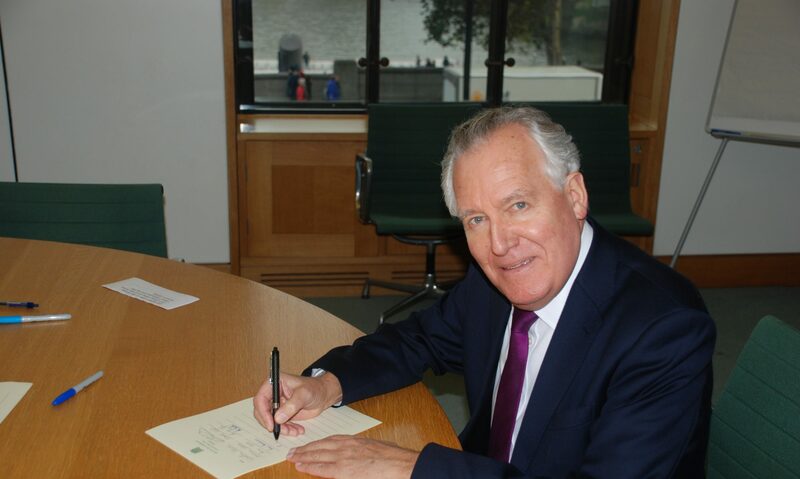 Families and individuals could be without any food unless the Neath Food Bank continues to get plenty of food donations over the Christmas and New Year period, says Neath MP Peter Hain. Mr Hain dropped in with his own donation at his local Food Bank at Orchard Place Baptist Church in Neath Town Centre, and praised volunteers led by Yvonne Davies and overseen by the Rector of Neath Canon Stephen Ryan. Mr Hain was told over 1600 different local people have been given food over the past year. “The volunteers are doing a fantastic job and I was very impressed with their diligence and organisation: the true spirit of Neath’s caring communities at work,” said Mr Hain. Volunteers for the Centre initially came from local churches working together but has grown to include other organisations and the wider community. Nineteen local schools have also participated. Four tonnes of food were donated in October alone and the Baptist Church is currently packed with food neatly weighed, sorted and packaged. Each family or individual is assessed for need and food allocated for three days of a nutritionally balanced diet, typically including tins of tomatoes, vegetables, soup, meet, fish, together with packets of cereal, rice, potato or pasta. Last week 93 local families were fed through sessions on a Tuesday and Friday between hours 2pm – 4pm. The Centre is run under regulations established by the charity, the Trussell Trust and families or individuals in need are referred by local agencies such as the Citizens Advice Bureau. ‘Although it speaks volumes for the sorry state of Britain in 2012 that too many people cannot feed themselves, the caring spirit in the Neath food Bank is movingly impressive,’ said Mr Hain.